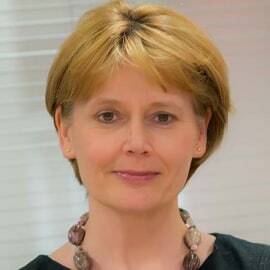 Andrea is the vice chancellor and chief executive of The University of Law, the UK's longest-established specialist provider of professional legal education. She leads business and academic strategy across eight centres throughout England and with international partners around the globe. She champions the very best outcomes for both our students and client firms, with a particular focus on high performance, employability and student satisfaction. She’s a keen internationalist, with a drive to develop global partnerships with business and with law schools around the world.